Recently, Ryan Blythe of the Cobb Business Journal visited the Annual Gulf State Shipbuilders Consortium in Mobile, Alabama. He wrote about his assessment of the industry and of Alabama's investment in this industry. His article includes the Maritime Training Center. In his article he mentions says, "The Maritime Training Center in Mobile is a model for the rest of the country." Read more of what he had to say about the Maritime Industry, The Maritime Training Center, and the entire state of Alabama. The 2018 National Robotic Welding Conference is an annual conference featuring professionals and vendors, sharing their knowledge on the latest information regarding the robotic welding industry. Individuals and/or company's interested in participating as an Exhibitor or Sponsor and sign up on the conference website. This year's robotic welding conference is being held at the Alabama Robotic Technology Park in Tanner, Alabama. The conference will be held on April 30 - May 2, 2018. Please register today!n https://www.nrwc.alabamartp.org. The Bay Minette Career Center partnered with Alabama Industrial Development Training (AIDT) to host a Maritime Foundations Class for Baldwin County resident. The class is also offered in Mobile County, but the need was there to offer it in other locations for those unable to travel to Mobile. The Career Center offered multiple schedules to accommodate different work schedules. Eight people completed the class and received their certificates. The class is designed to review and improve math and measurement skills as well as soft skills needed to enter other AIDT courses such as the Maritime Welding Class. Two of these graduates are already enrolled in the July welding class. Nearly 300 Mobile and Baldwin County high school students attended a career fair Tuesday, March 7, 2017, at AIDT's Maritime Training Center in Mobile. Jeff Lynn, senior executive director of workforce and economic development for the two-year college system, said Tuesday's event was co-hosted by ACCS and AIDT to give students a glimpse of 21st-century manufacturing careers. "With two years of education, our students can enter the workforce with no debt and make a good living to support themselves and their families," Lynn said. "We want students in Alabama to know these opportunities exist." Jacqueline Allen, communications manager for AIDT, said the agency's partnership with the two-year college system "allows Alabama to produce people who are ready for careers." 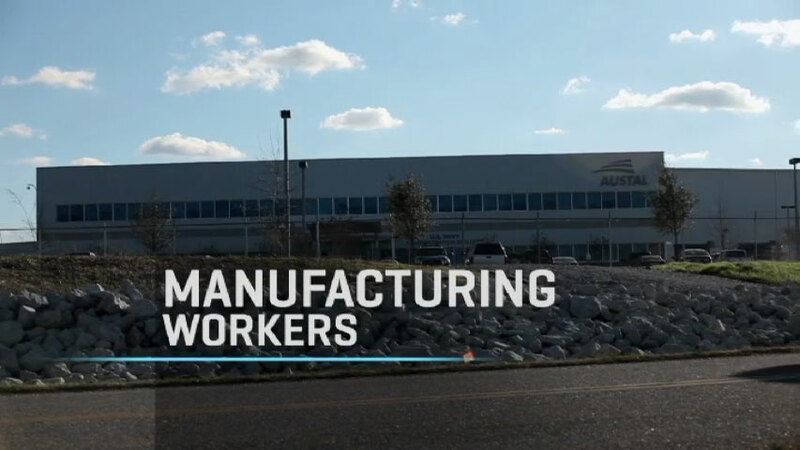 "These are high-skill, high-demand, high-salary jobs," Allen said. "You need training for them. When you're finished with your training, you can find jobs that pay $40,000 or $50,000 a year." In addition to presentations by Coastal Alabama and Bishop State community colleges, students interacted with industry representatives from Austal USA, Ingalls Shipbuilding, Wesco, Alabama Power Co., Technical Training Aids, Mitternight Boiler Works, Performance Contractors and the Alabama National Guard. On September 8, 2016, Maritime's Daytime Instructor, Troy Cochran, was awarded "Instructor of the Year" by the AWS District 9 Mobile Section. He is pictured here receiving his plaque from Gary Williams, Chairman of the AWS Mobile Section. We want to congratulate Troy on a job well done. Jordan Sellers, a graduate of the Maritime Training center's welding program, was named "Apprentice of the Year" for his local 100 in Dallas Texas in the category of pipe fitter/welding. Jordan is a 2012 graduate of Baldwin County High School and the North Baldwin Center of Technology. We are very proud of Jordan and wish him well. AIDT is seeking qualitifed applicants for a Intermediate Blueprint Reading Class. The class will be held Tuesday and Thursday's from 5:30pm to 8:30pm for three weeks, beginning June 7, 2016. Appliants must have one year of experience as a fitter and must currently be employed as a fitter. 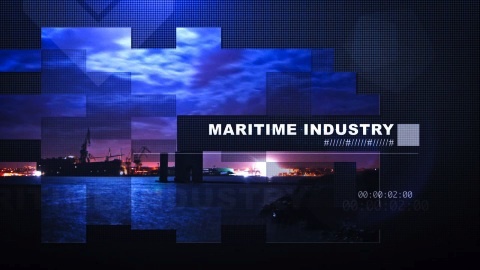 Topics covered include ship terminology, ship abbreviations, modern drawings, and fabrication. You must apply for class online by May 16, 2016. Classes will be held here, at the Maritime Training Center, located at 360 Addsco Road in Mobile, Alabama.